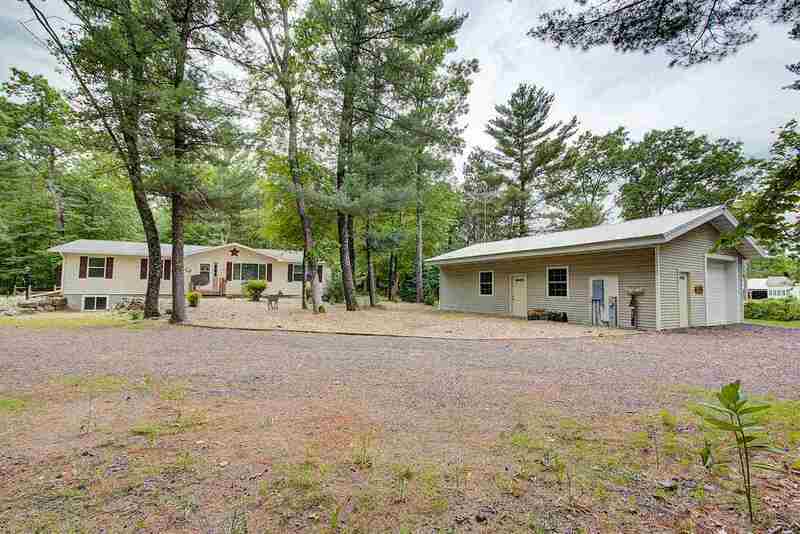 Newer meticulous open designed Ranch home on 5.29 acres w/wooded privacy + a 10-year old 24x40 shed w/concrete floors, electric & 10ft overhang door for cars, boats, horses, etc. 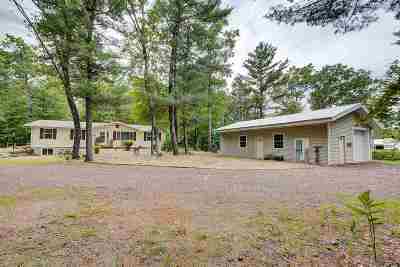 Just 10 minutes to the Dells & Lake Castle Rock! Nice size kitchen w/large center island & beautiful cabinetry that opens to a dining area & great room. 3 spacious bedrooms including a huge Master Suite w/tub, separate shower, double vanities & walk-in closet. Large main level laundry w/sink. 2 decks! Lower level w/exposure for future finishing & rough-in for 3rd bath + storage galore!